Tenafly Skate Night at the Palisades Center Ice Rink was conceived of and organized by two Tenafly middle school students, Molly Shultz and Mason Paulen, as their mitzvah projects. They thought it would be a great opportunity to get people together and support two worthy causes: the Todd Ouida Children's Foundation and the Tenafly Educational Foundation. Molly and Mason created a website for the event and explored different avenues of publicity, which culminated in a wildly successful, lively event. Mason later wrote: "I had a blast...I did not know how good it felt to give back." In honor of Todd's Birthday, Tenafly Ice Cream Man George agreed to donate 25 cents for every ice cream bought on Todd's Birthday (May 18th). In addition, collection cans were available at his ice cream truck all day on Saturday May 18th, with 100% of collections going to the Todd Ouida Children's Foundation. A full house at the Tenafly Middle School enjoyed The Muppet Movie and every child took home a Muppets beach towel donated by Ramapo Country Day Camp. This event, coordinated by the founders of Tenafly Kids Reach Out, raised money for both the Todd Ouida Children's Foundation and the Tenafly Educational Foundation. 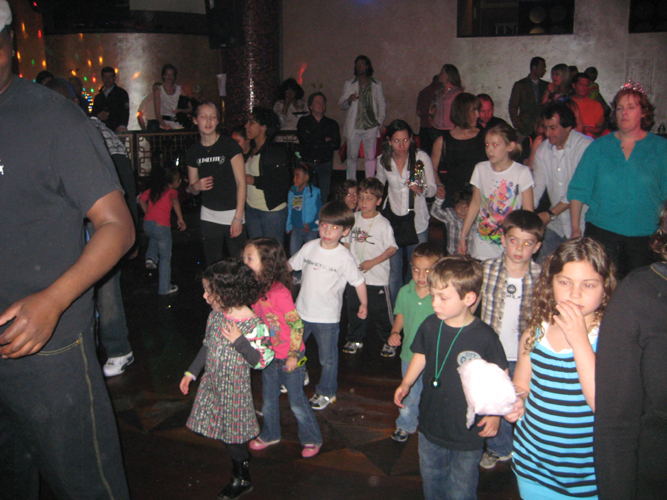 Homecoming 2011 was held at River Dell High School, where we gathered for our first annual birthday event in 2002. It was a gala celebration under the party tent with a picnic/barbeque feast, music, activities for children, a silent auction and basket prizes-plus a chance to reunite with old friends and meet new ones. This year we partnered with Children's Aid and Family Services (CAFS), with whom our foundation has collaborated for many years. In addition to the organizations and services we regularly support, funds raised this year helped to develop a medical services and advocacy center for children in CAFS treatment homes and foster families. Over 200 of Todd's friends and family members gathered on his birthday to remember Todd and raise money for the foundation in his honor. We were touched by the many guests who traveled great distances on such a rainy night. But all was well inside the 201 Club in Englewood, NJ. The lush Moroccan atmosphere, combined with great music, food and drink made the Ninth Annual Birthday Event a special one. Additionally, this year's auction was very successful—so thank you all for your generosity! 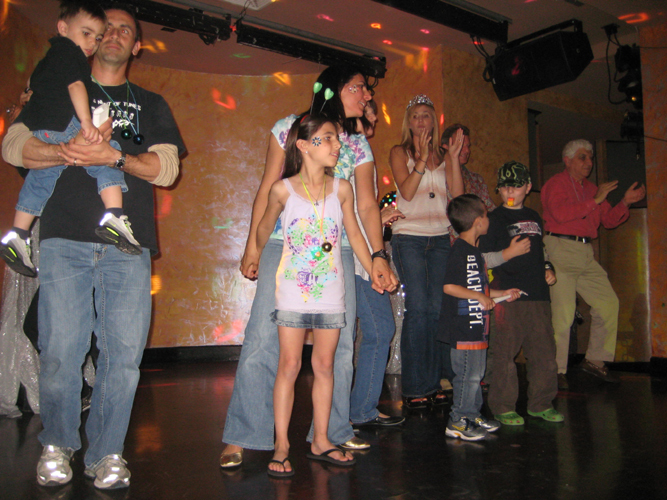 Family Disco is about being together, dancing together and enjoying the company of one another at the "party that works for all ages." This year to celebrate Todd and raise money for the foundation we danced...old and young...family and friends...everyone! 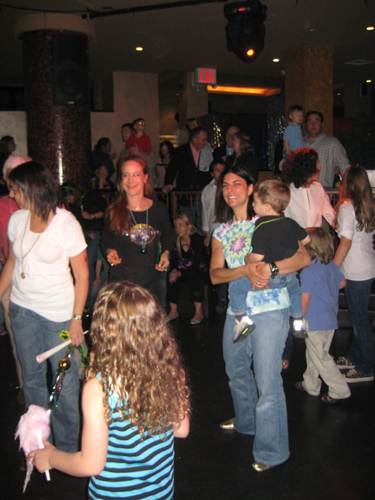 It was a real Family Disco held at Deb's Family Disco in NYC! 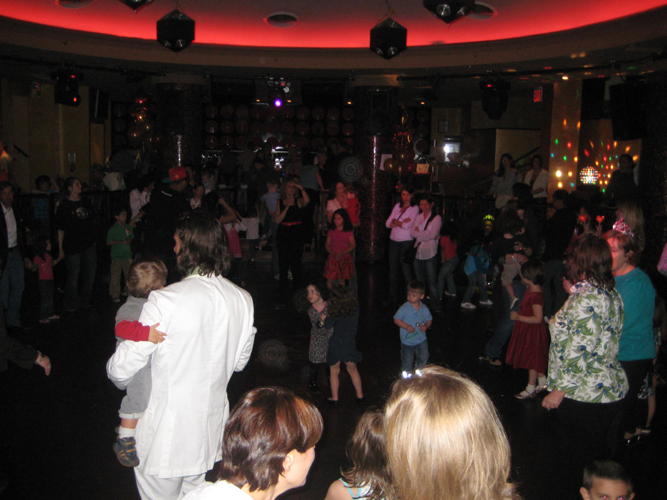 A fun party in a cool party space, we rocked a full blown disco complete with DJ, dancers, mirror balls, disco balls...and even some giant inflatable boogie-woogie shoes. Thanks to all those who attended and to those who continue to support our work in Todd's name and memory. It was all about singing! The Laurie Berkner Band entertained young and old at the BergenPAC theatre located in Englewood, NJ. We sold out the theatre (1,300+ seats) thanks to all of you! We "buzzed" to Laurie's Buzz Buzz song and "blasted off" to her new Rocketship song. Following the show, we were thrilled to talk about Todd and the foundation with many of you at the "cookie reception." We celebrated Todd in New York City this year! Todd’s friends and family gathered at Crash Mansion and boogied down to the music of New Jersey’s very popular cover band, The Nerds. The evening included fabulous dance and sing-along music as well as a surprise raffle – congratulations Helen Morik – big winner! here for photos from this fun night! That's right! We celebrated Todd's 30th birthday at Yankee Stadium. The Yankees were away, and in addition to our usual family fun and fundraising, this special day included a barbeque in Monument Park, face painting and bucket hat decorating for children, baseball fun for all ages, and stadium tours for every guest. One lucky raffle winner walked away with Todd's very own New York Yankees Saturday subscription for two. This spectacular day created unforgettable memories for 600 attendees – all to better the lives of children in Todd's honor. 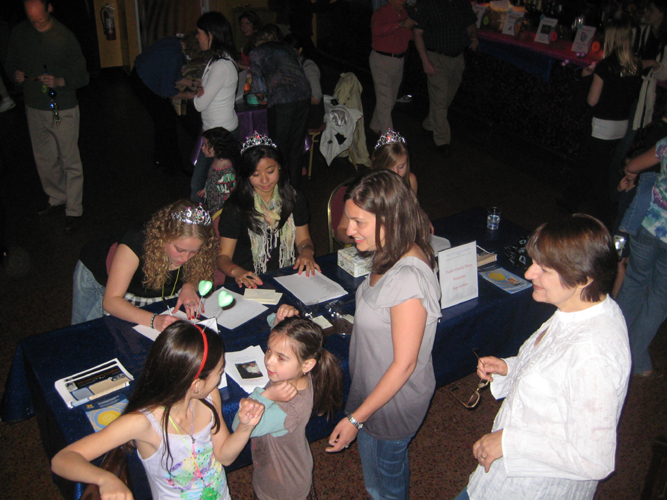 The Todd Ouida Children’s Foundation Fourth Annual Birthday Event—Todd’s Race & Family Day—held on May 7, 2005 was a shining success in every way. Over 120 people participated in the race/walk and over 400 gathered in the tent and park for a meeting of good friends, good food, children’s activities, and a fundraising raffle and auction. Thirty-five children from a local home supported by the foundation enjoyed the festivities as our guests. Including the generosity of friends and family who could not attend, over $50,000 was raised to help children in Todd’s name. Once again we honored Todd on his birthday by volunteering at agencies supported by the foundation. Alan and Debra Hecht, Megan McCarthy and Jay Gerard spruced up the garden planted in Todd’s honor at the Holley Child Care Center; Nan Gettis and Jennifer Dresner helped preschool children plant flowers at the Turrell Child Development Center; and Karen Rancourt, Heather Ouida, Rosemary and Gene Dunton helped sort donations at the Center for Food Action warehouse. This year, Todd’s family and friends gathered in Tony’s di Napoli restaurant in New York City for a chicken parm feast—acknowledging that this was Todd’s favorite food and one of his favorite venues. Over 350 people were in attendance, including close to 100 children. While the adults enjoyed the scrumptious buffet and browsed the raffle and silent auction items, the children were entertained by the clowning, face painting, and balloon wizardry of Sammie and Tudie. The highlights of the day were, as always, the reconnecting of old friends, the meeting of new friends, and the sure knowledge that Todd’s spirit is very much alive. Additionally, over $45,000 was raised to bring hope into children’s lives. Because “Tony’s for Todd” was held on May 16th this year, May 18th was designated as a day of service in Todd’s memory. About 20 volunteers gathered at the home of Todd’s parents for breakfast, then went off in groups to work at various agencies the foundation supports. An equal number of people volunteered in their own communities in Todd’s name. Local volunteers helped pre-schoolers plant flowers at the Turrell Child Development Center; revitalized the garden planted in honor of Todd at the Holley Child Care Center; and helped sort donations at the Center for Food Action warehouse. A friend of Todd’s, who serves on the event planning committee and now teaches second grade, had her students plant flowers all along the front walk of their school. This year we had sunshine! On May 18, 2003, several hundred of Todd's friends and family members gathered at Spring Lake Day Camp to celebrate Todd's life and raise money for the Todd Ouida Children's Foundation. Children jumped in the moonwalk castle and rode ponies, friends played volleyball and softball, and the brave ones attempted rock climbing and breezed across the lake harnessed to a zip line-all at the camp where Todd worked as a lifeguard for several summers during his high school and college years. More than $50,000 was raised this year-all of which will be donated to charities that support psychological services for children of families in need. We are able to donate all monies raised at the event directly to the charities, thanks to our corporate sponsors who covered the affiliated costs. More than 500 friends and family members gathered under a tent on the football field of the River Dell Regional High School in Oradell, NJ to celebrate Todd's life on the 26th anniversary of his birth. Many months of planning were nearly sabotaged by the unusually cold and rainy weather, but tent heaters and a plywood path from the parking lot saved the day. Inside, the atmosphere was warm and sunny! 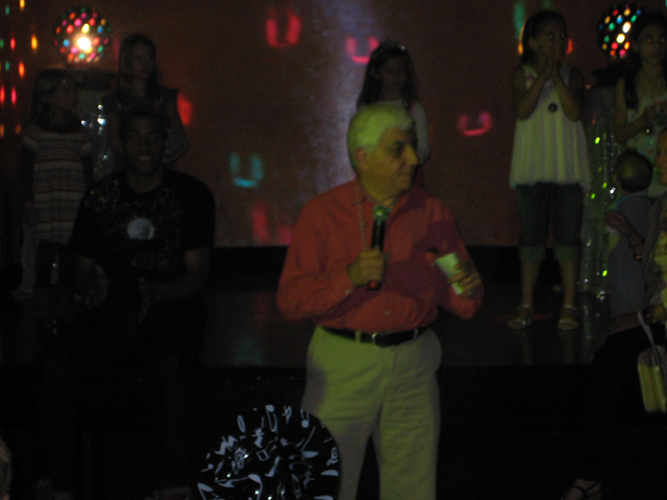 Guests enjoyed food, music, children's activities and a fabulous assortment of basket prizes and silent auction items. Thus, in addition to sharing stories and remembrances about Todd, the event raised close to $40,000 for the Todd Ouida Children's Foundation. An incredibly dedicated group of people served on the event planning committee, many of whom were Todd's friends, and it was a wonderful opportunity for all of us to become better acquainted. Serving along with family members were Alesha Beshara, Susan Bolter, Mina Janusz, Amanda Keidan, Didem Kennan, Meghan Murray, Andy Schwanewede, Jennifer Shultz, Joe and Monica Venn. We deeply appreciate the outpouring of love and generosity from those who shared in the celebration as well as from many others who were not able to attend.